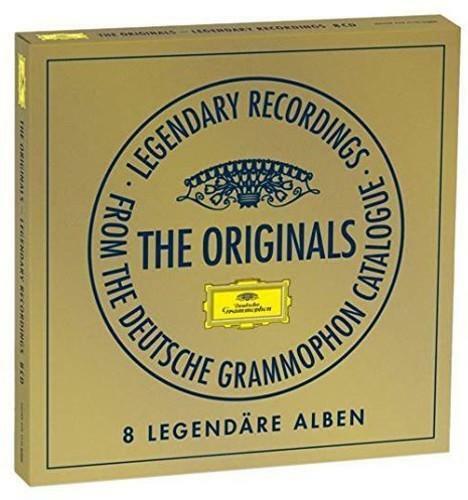 This eight-CD collection of outstanding recordings from the DG catalogue features titles such as Carlos Kleiber’s masterful recording of Beethoven’s 5th and 7th symphonies, Eugen Jochum conducting Carl Orff’s Carmina Burana with Gundula Janowitz and Dietrich Fischer-Dieskau, Dvorák’s 8th and 9th Symphonies with Rafael Kubelik. There are also outstanding recordings from Anne Sophie Mutter, Wilhem Kempff, Martha Argerich, Rostropovich and Herbert von Karajan. Highly recommended.